Michaels IGA Group | It pays to shop independent! The Lorenz Group operates four supermarkets across country Victoria and one liquor outlet. 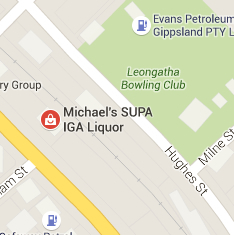 The two Michael’s SUPA IGA plus liquor stores are located in the Gippsland area, in the towns of Leongatha and Korumburra. The highway liquor outlet is also located in Leongatha. 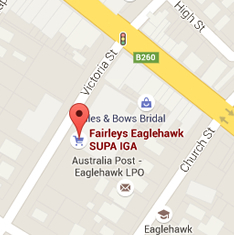 The two Fairleys SUPA IGA plus liquor stores are located in the Central Victoria area, in the towns of Eaglehawk and Shepparton. Both of the Michael’s stores were opened in 1995, and have remained an integral part of the community since. In 2012, the Lorenz family purchased the Fairleys SUPA IGA store in Shepparton from some long term friends, and chose to maintain the Fairleys banner name. In 2015, the Lorenz family purchased the store IGA store in Eaglehawk and decided to brand it under the Fairleys name also. Our vision is to continue to give the people in the areas in which we trade a real alternative shopping experience and share our profits within those communities, local businesses supporting locals. A peek down the aisles of our stores will show that we have a huge range of everyday groceries, local goodies, exotic gourmet needs, international ingredients and a fantastic range of gluten free and health giving products. That’s the great thing about being independent, we can offer our customers exactly what they are looking for and that’s exactly what we do. We are particularly passionate about our fresh foods. Our shorter supply lines and greater control of quality through dedicated fresh food buying, provide our customers with a great fresh food offer. Wherever possible we source local produce and follow a simple paddock to plate process that ensures our fresh products – are just that – fresh! Our stores have set industry standards and have been formally recognised with numerous departmental awards and overall recognition awards. 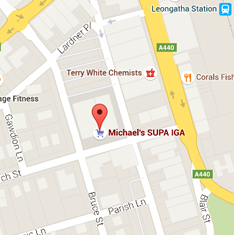 In 2012, the Michael’s store in Leongatha won the highly prestigious Australian SUPA IGA store of the year. 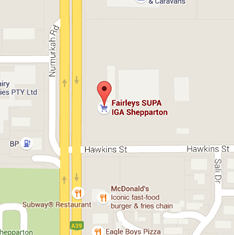 In 2013 and again in 2015, the Fairleys Shepparton store won the Victorian SUPA IGA store of the year. While we are very proud of all these awards, what counts most to us is what our customers think. Michael’s IGA Group is a family owned business with a close-knit, fun and customer focused culture. We are dedicated to providing outstanding HR support and we offer nationally accredited certificates in retail to assist with in our team’s career development. Our staff are very proud of their stores and their commitment to always exceed our customers’ expectations. We pride ourselves on our friendly service and value for money along with those ‘extra’s’ you just don’t get everywhere like sourcing a particular product, supporting our local community and stocking those brands you know and trust. Community is a huge part of our business and our staff are at the ‘coal face’ of this involvement. They not only live locally, they are involved in many of the organisations that make our communities such a great place to live. Our 4 SUPA IGA + Liquor stores are large scale full line Supermarkets that provide a full range shopping experience including a great range of locally sourced produce and liquor products. In our Highway Liquor store you will find a fantastic range of local wines as well as a great range of those wines you know so well and even some that you might not! We search high and low to offer our customers the very best of all things local and you will find a fantastic selection of boutique ‘cellar door’ wines. Customers also love the reasonably priced alternative brand and craft beers which are always worth a try. However we also realise that ‘a beer at a weekend BBQ’ is just as important – and you don’t need to pay more for that! 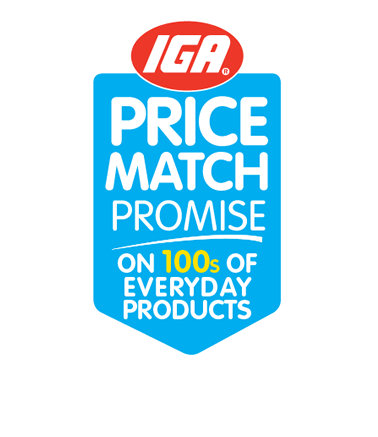 As part of the IGA buying group, we have the buying power to provide everyday low prices and offer fantastic catalogue, multi-buy and instore specials. All stores are conveniently located with parking available at the front door and extended trading hours to suit your shopping requirements. We are a family owned company and the stores are managed by local people who are always involved with their local communities. For more information, choose a store from the menu above or scroll down. 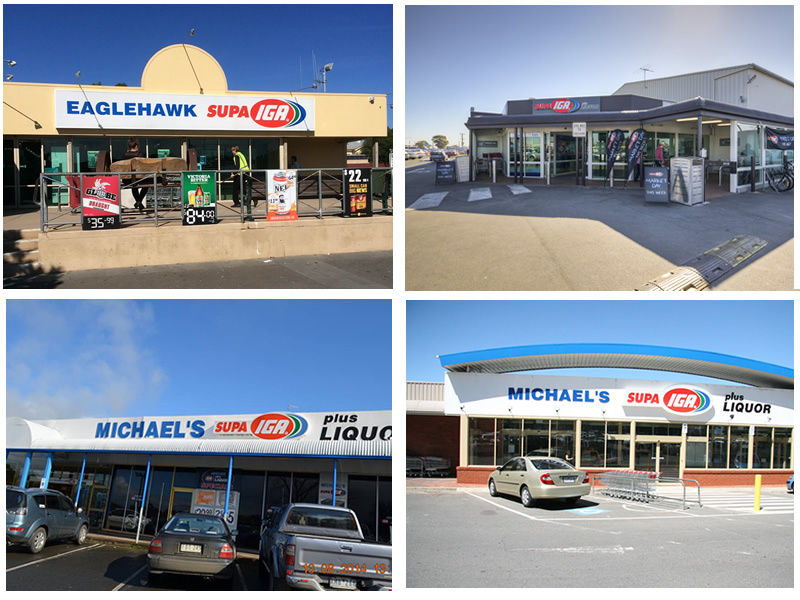 The SUPA IGA Eaglehawk store was purchased by The Michael’s IGA group in 2015 and was branded with the Fairleys banner due to the proximity of Fairleys SUPA IGA Shepparton. Since purchasing the store the Michael’s Group have invested significantly to ensure the store meets the group’s high standards with major transformations to various departments, and there is more to come! Fairley’s SUPA IGA Shepparton was purchased by The Michael’s IGA group in 2012 and it was a new beginning for the store after closing for 2 months for big refurbishments. Following on from the successful relaunch of the supermarket, Fairleys was awarded top ranking in the state in 2013 and again in 2015. 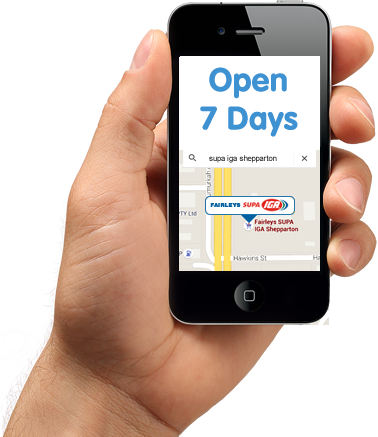 Fairleys Supa IGA prides itself as Shepparton’s Favourite Supermarket, having been a part of the community for many decades. 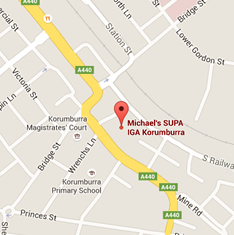 Michael’s Supa IGA Korumburra, has been part of the community since 1995. The store was purchased by Michael and Rosemary Lorenz and converted to a SUPA IGA plus Liquor with the vision of improving the services the supermarket provided for the local community. After an initial upgrade, the store has been consistently refurbished in the 20 years the Lorenz family have owned it. Staff focus is on providing superior quality, services, range, value and importantly providing a rewards and charity program that really gives back to the local community. The store has won multiple awards having been recognised at state and national level for exceptional standards. Michael’s SUPA IGA Leongatha is more than just a supermarket. The business has been shaped over the 20 plus years the Lorenz family has owned the store. Like Korumburra, Michael and Rosemary purchased the store in 1995 and immediately set about improving the supermarket. Over the years the store has undergone many refurbishments to ensure the community is provided the best possible offer. This has not only been appreciated by the local community but also recognised by industry as a whole with the store winning multiple awards, including Victorian and Australian SUPA IGA store of the year. As with all stores the main focus is to deliver the best shopping experience for our customers through great service, the best fresh foods, the largest range and super competitive prices. We like to think of Highway Liquor as Leongatha’s favourite bottle shop! You will find a fantastic range of local wines as well as a great selection of those wines you know so well and even some that you might not! We search high and low to offer our customers the very best of all things local and you will find a fantastic selection of boutique ‘cellar door’ and regional wines along with craft beers, ciders and spirits. As with the supermarket’s our focus is to deliver the best shopping experience for our customers through great service, a large range and super competitive prices. Stuck for gift ideas? Not sure what to give someone to say thank you? 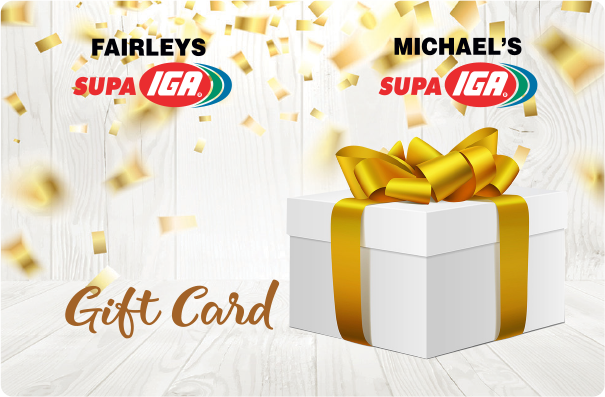 Michael’s and Fairly SUPA IGA Gift Cards are the perfect gift for any occasion, whether it be for a birthday, a celebration, or just to say thank you to someone special. Our Gift Cards are now available at every store Supermarket! Our rewards customers can also trade personal points for gift cards to spend in store or to gift to others. Ask at the check out or customer service counter next time you are in one of our stores. Full terms and conditions can be found here. Click the button below, then enter the barcode on the back of your Michael’s or Fairleys Gift Card to check your balance and transaction history. Stocking your favourite brands, supporting the community and now, reducing prices on hundreds of everyday products to match the major national supermarket chains, all adds up to more reasons to shop at Fairleys & Michael’s SUPA IGA! If your local School, club, charity or organisation would like to be part of this exciting fundraising program please visit your Fairleys or Michael’s SUPA IGA store website and follow the community rewards links. Our Community Rewards program will carry on the great community support that our our stores have been known for over many years. Our pledge is to support community groups through every shopper scanning a new Community Rewards Key Tag, and community groups can benefit by receiving 1% of these purchases back in a cheque at the Big Cheque days held at the end of the fundraising year, usually in September. Our commitment to the substantial funds that this program will generate is significant in such a competitive business. Our approach to this is that our customers and the community are our shareholders and therefore we have pledged a large portion of our profits to this program 365 days a year. 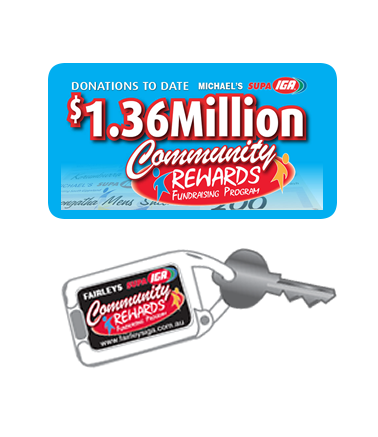 Customers join the Community Rewards program instore by receiving a bar coded key tag that needs to be scanned at the checkout each time they shop in their local Fairleys or Michael’s Supa IGA or Highway Liquor. Customers have the choice on joining, to allocate their points to a community group or collect personal rewards for those points or a combination of both. We also manage a Community Grants fund, this fund generates money through specific product purchases as well as point donations from customers wishing to share their points amongst the community apart from the groups listed to the right. These Grants are generally decided on an annual basis depending on funds available. To join please visit your Fairleys or Michael’s SUPA IGA store website and follow the reward links. The Michael’s IGA group is a family owned business with a close-knit, fun and customer focused culture. We are dedicated to providing outstanding HR support and we offer nationally accredited certificates in retail to assist in your career development. There are currently no positions available, however this changes on a regular basis so please check here for details from time to time.